This coming Friday’s meeting of EU heads of state and government in Brussels could well be a defining one in the history of European integration. True, we’ve seen a number of “make-or-break” summits recently, and EU leaders are always keen to play down expectations (German Chancellor Angela Merkel, for example, recently warned that the crisis could take “years” to resolve). However, in the face of massive and unending pressure from financial markets, the talk of “fiscal union” versus “Eurozone break-up” has never been taken quite as seriously as it is now. As this treaty will be primarily about how national governments run their fiscal affairs, perhaps it should be outside EU law. In other words, a multilateral treaty between member states that just happen to be EU members too. This way, even if a country refuses to ratify it, the other countries can go ahead agreeing policies outside the EU which they then apply inside the EU as a group. With the UK threatening to veto any treaty change and Ireland asking for its debts to be reduced as a condition to agreeing, this suggestion might suddenly be very attractive to Eurozone leaders as a way to “streamline” negotiations. The question of whether the full group of 27 EU member-states should negotiate a treaty including everyone or whether the smaller group of 17 Eurozone members should just go ahead amongst themselves (and, perhaps crucially, without the UK), will be one of the fundamental issues for Friday’s summit. British Prime Minister David Cameron is keen to keep the 27 together for fear of losing influence, but the question of renegotiating (or “clawing back”) powers from Brussels is proving divisive within his party. We recently spoke with two members of David Cameron’s party and asked them what they thought about Jason’s suggestion. 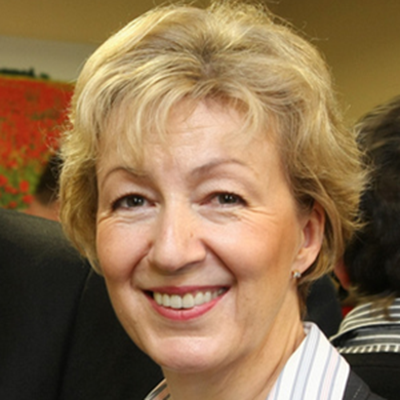 First up is Andrea Leadsom, the Conservative Member of Parliament for South Northamptonshire and Co-Chair of the All-Party Group on European Reform. 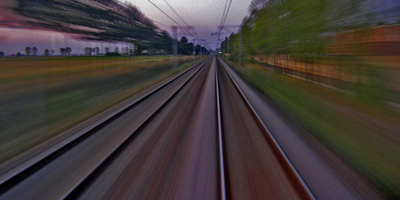 Would a “two-speed Europe” be a solution to the Eurozone crisis, as Jason suggests? I think that for Europe to truly meet the needs of the 21st century, it needs to be self-reforming continuously. My concern about all of the treaties before is that they’ve been “one-way streets”. It’s simply ridiculous to think that something agreed 20 years ago would be able to cope with the challenges of the modern world. Whether or not any treaty change is entered into by all 27 member-states, it needs to reflect that requirement. But isn’t there a risk of the UK losing influence if it pushes too hard for repatriation of powers and ends up excluded from a smaller “club” of Eurozone members? Well, the key thing here is for Britain to look after Britain’s national interests. So, a treaty that excluded Britain isn’t per se a disaster, unless Britain wasn’t a party to it and yet it would affect Britain’s interests, which I obviously wouldn’t support. The problem we have is that the EU has so far overstepped its original mandate, it’s gone far beyond goods and services and delved into other areas. The European arrest warrant, for example, isn’t necessary for a single market in goods and services, yet you have stories of British nationals going on holiday and being held in dreadful conditions. That’s unacceptable. And this negotiation should take place even if it risks endangering the stability of the Eurozone? I’ve heard the arguement put from a senior German diplomat saying it’s selfish for Britain to want to renegotiate powers right now. I care about the British national interest; the term “selfish” doesn’t compute with me. If there is a limited treaty change then there should be limited renegotiation of powers – whether that is to get an assurance that there isn’t a Financial Transactions Tax (FTT) or whether it is to try and repatriate the 48-hour working week limit, which is having such a bad effect on British hospitals. It’s our duty to look after British interests at any time. 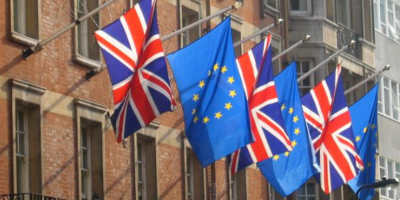 What do you believe would be the effects of a Eurozone break-up on the UK’s economy? It would be a disaster for Britain. It would be a catastrophe for Britain if the Eurozone broke up. Essentially, if you look at why sovereign risks are believed to be risk-free, it’s because there is a lender of last resort. In the case of the Eurozone, however, there is no lender of last resort. There is not a happy outcome to this, and I do not believe there is anything we can do, other than to urge European leaders to do everything it takes. I don’t find that approach remotely useful. It’s fine to have a debate, but there’s an immediate problem. My view is that, on balance, there is a real crisis out there and this is a secondary issue. If you’re at risk of shipwreck, your first priority is to stay afloat. Rather than squabbling, we should collectively see how these matters can be gotten better. How big an impact would a potential Eurozone break-up have on the UK? Whatever happens in the Eurozone has an enormous impact on what happens in this country. Being a member or not does not make a difference. I’m a Cumbrian farmer, and the value of my beef dropped overnight when the Irish crisis struck. But we could be about to see a major change in how the EU functions. Isn’t a debate about which powers the EU has and which belong at the national level an important one? I think you’re looking at the matter in the wrong way. What we’ve got now is a change in the way in which the world works compared with 30 or 40 years ago. The response to your question is that, looked at in an ideal Platonic position, there are powers exercised at European level and powers excersised at local and national level and it’s a two way street between them. But it doesn’t help when dealing with the problems of the future to talk of clawing powers back from the centre or of the centre grabbing powers from the member-states. I’ve increasingly come to the view that this discussion is predicated on the question of “are you pro-European or anti-European”. I think this is completely wrong, and it actually is very dangerous. Europe exists. The network that Europe entails, the way in which nation-states are interconnected, the way that decisions are taken at a global level, exists. It’s important to recognise that the world does business differently now, and to develop those networks for decision-making. One of the things that irritates me is the way Europe is positioned as a zero-sum game. I want the Greeks, Spanish and Italians to succeed because their success is also in Britain’s national interest. This is the only way to do it, or we’re all going to be beached. What do YOU think? Is a two-speed Europe, with the UK in the slow lane, the only way to prevent a break-up of the Eurozone? Or should leaders try to keep the 27 together? Is it right for David Cameron to threaten to veto any treaty change? Let us know your thoughts in the form below and we’ll take them to policy makers and experts for their reactions. I don’t think I have seen a government undo its own international negotiating position as spectacularly as the Tories are doing in the EU at the moment. Quite apart from what you think about the issues, the eurosceptics on the Tory right are showing an embarrassing level of naivety and self righteousness that is just very bad politics. Good luck to the UK and its international standing with these guys at the helm. I think UK must WAIT to see how the new Eurozone will like. It’s clear that the New Europe will start with Germany and France. To be able to have a clear position all the other states of EU, especially the non-euro-zone countryes (UK, Poland, Bulgaria, Romania, Hungary etc) must wait to see what is the Franco-German plan for EU. This plan can be discussed. EU can only make sense with the 27. That’s why Metkozy are destroying Europe. They want to own Europe, but they can’t because we will fight back against that. Merkozy are terrorists and must be stopped! *if…the EU is to survive..
EU can’t survive in competition with US, China, India etc. It’s too divided and not coherent. All big states have own currency. Europe have own currency but not o coherent economical policy. Europe have 2 variants. Die or become more united. It’s not smart to send to garbage all work until now, so, there is only one variant: to become more united. Europe it’s different too by other nations because it not a historical nation (like British, Romanians etc), empire nation (formed nation like Russia, China, India, etc) or build/immigrant nation (US, Australia, Canada etc). EUROPE it’s something between all this. In ALL others examples the nation have it’s own UNITY. Some are conquered and adopted the conqueror nationality (Russians for example) , others forgot their nationality because their immigrants (US, Canada etc). Only Europeans want to be united but to keep their nationality too. This is an EXPERIMENT, but MUST BE DONE. In EU there is one currency, but EU is not a STATE in fact. It’s a UNION and WORK BADLY. EU needs to become efficient, so to become ONE SINGLE MULTINATIONAL FEDERAL STATE. The crisis is going fast and the decision-making mechanism in EU are SLOW. So there is INEFFICIENCY and we ALL will loose the competition. I am European. I don’t want to use US dollars, Yuans or other currency. We are not idiots. We MUST SOLVE THE PROBLEM ! Yes, of course, all of them, this afternoon by preference and next Tuesday at the latest. The very existence of the EU is a dangerous disaster and there’s certainly no reason at all that the UK should stay in it for a moment longer. I guess, if us europeans keep buying all the crap from china while they get rich with our money we wont survive as a whole non of the other nations not just EU.You may think it’s just a political issue and its all about MONEY in the end, the politicians will just spin arround the cash !We should work this economical crisis together all 27 nations as a HUGE new family with solid rules and a solid european government with or without UK and others alike who bite when you are wounded and lick you when u smell honey. Tell me why we can not produce and consume our own productivity why we have to buy cheap from china million things useful in the end as decoration or filling up the dustbin while they expand more and more laughing at us how we beg for their help, when we are in trouble. It is more like we fool our self playing this game forever..we will end up soon as slave to those who sold their rubishes and we ate it all. In the end the next chinese generation will win not us europeans. If they need they move mountains like ants and us giants we can not move even our will for a change…isn’t that silly? The paradox and HYPOCRISY of capitalism is that we are building the capitalism buying CHEAP goods from China. Why ? Because they are cheaper. We want good salaries and to make BIG INVESTMENTS. To be bigger we buy cheaper. But in this way we build an UNHEALTHY ECONOMY. Unhealthy for US and for China too. Now we ALL see this thing PERFECTLY. China have HUGE problems because the export markets are dieing in EU and US. We must produce for us and they for they. Other stupid thing is that the capitalism promoted NOT ECONOMY FOR THE PEOPLE, but economy for the sake of economy. The carbon fingerprint of advanced states IS HUGE and NOT SUSTAINABLE. In fact, for real we just can’t afford the our living standards. Because of too much consumption, are created a HUGE NUMBER of FALSE jobs. The demand is stimulated artificially and we buy for example more cars then we need in fact. When crisis comes, everybody finds out that the old car still work perfectly, that the old furniture is maybe old but still useful etc. So, the consumption/the demand drops fast and millions of people remain without job. If economy would produce not more over the demand, the demand would not drop too fast even if are less money on the market. We are building capitalism sustaining a communist state. This is hypocrisy. The Chinese are the same, because all their communism is based on capitalist states consumption. If we do not want anything China starves. Neither capitalism or communism couldn’t demonstrate that are SELF SUSTAINABLE ! They are HYPOCRITICAL AND EXPIRED SOCIO-POLITICAL-ECONOMICAL SYSTEMS ! About UK: I think their RIGHT. Euro was not from the start a sustainable project, not in the actual form because there is an UNIQUE currency, not for ONE STATE but for MORE ECONOMICALLY INDEPENDENT STATES with NOT COORDINATED economical policies. I have a similar position with British: Romania must join to the Euro in 2015. I am against for 2 reasons. 1. Romania decided to oind to OLD EURO (the one that still exist now). In this moment this euro is near the collapse. I am not interested to adopt a collapsing currency ! 2. The Romanian economy is not strong enough to meet the Euro criteria. 3. The actual Euro will look most probably different, so we should WAIT to see haw things will be. 4. Most probably Germany DO NOT WANT MORE PROBLEMS in Euro-zone, so will NOT ACCEPT new countries in Euro-zone. Polish have a strong economy and they don’t want in Euro-zone because they don’t want to pay for Greeks, Italians, Spanish etc. Despite all this arguments, Romanian politicians want to join to Euro in 2015. This is really stupid. In that sense the dilemma we are facing either “fiscal union” or collapse of the eurozone is false. Furthermore within the current context it verges on the line of not being democratic, since it asserts that excessive powers will be transfered to unelected institutions such as the European Commission in order to ensure “fiscal discipline”. So the price European citizens have to pay after four years of continuous crisis, is to transfer the sovereignty of their state to a nomenclature in Brussels, with the hope that the new economic Czars will be competent in containing the dynamics of disintegration? Judging from the utterly ineffective and non-credible ad hoc half-measures that European elites agree to from summit after summit, I doubt their capacity to address the crisis systematically, and after all should democracy be given away for the sake of saving a failed single currency project? The euro and in fact the entire growth model of the EU27 has proven to be unsustainable. The only real dilemma we are now facing, is either we reconsider our priorities and principles and move forward, by abandoning the dogmas and failing policies that brought us in this mess; or we decide to cling on to fleeting dreams and delusions that created the euro in the first place, sacrificing every democratic principle in the process. I for once opt for the former and towards that end I agree with the approach the UK leadership seems to adopt to the issue. For sure. The difference is that we can influence what the world it will look like RIGHT NOW. In I am just doing this thing :). We all can do all it’s necessary to have a stable Europe and to end this stupid crisis. Politicians are not all the same, so they can adopt different solutions. The countries are not all the same. Note that this is a game with a lot of unknown things. No one knows everything. Some think that they know so much that will be able to do this or that. False. The life is full of surprises. In Romania we have a proverb “the home calculation do not fit with the market calculation” :). First, Euro is here to stay and will survive the current debt crisis of the sovereigns. Second, de Gaulle had the right principle when it came to British application to join original EEC: He simply said; Non! The history and culture of Anglo-Saxon people don’t easily mix with continentals, I suppose, was his intuitive argument. Third, now, young Tory leader is making it even more than a zero-sum game: Tories mandarins are even up to mischief with S&P downgrade warning of all EZ members, including Germany. I saw the interview with the guy in City (Lon) conducted by Reuters Inside view. It was obvious that he was exercising more than his rating powers. But why from London? Bottom line: Based on EP statement by Mario Draghi/ECB, last week, a *compact on fiscal union* will allow the *sequential action* by ECB as LOLR (I presume, Budesbank relenting!). 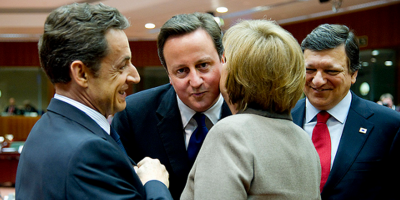 If there must be a EZ treaty – separate from EU-27, Cameron will have to fall on his own sword (back in Parliament). If we accept that the EU is not the right place for the UK, the question is, what should its relationship with the EU be? After all, simply “kicking out” or “punishing” the UK is not a possibility, given the major net financial contribution the UK makes to the budget and the fact that poor relations would jeopardize the interests of other EU countries in UK businesses. Whatever kind of trading relationship, the EU would have to negotiate with the UK and it could prove awkward for both sides. UK exports almost 50% of its exports into the Single Market. Who needs EU more than UK business and service sector/professionals who today more or less control/manage Hedge Funds and their manipulation of EU bond markets. No! If UK thinks it is a *bulldog* and can bite Merkosy on Euro stability pact – revised-under a fiscal compact, Limey’s are totally mistaken about the Euro Project. It’s here to stay. Geithner (US Treasury Sec) made it clear today US supports the fiscal comapct proposed by Merkosy. What else does one need to appreciate the power of the bulldog to make sense 8-9Dec in Brussels Summit. Cameron has to accept defeat, if he’s intelligent, and protect what he has already achieved as a Eurosceptic. In future there won’t be any socalled OptOut clauses to negotiate – Never again! In my critical judgement on the efforts of European political leaders to save the eurozone, I agree with the pertinent comment made by fellow commentator Protesilaos. But that does not yet answer the question whether the UK should proceed along with the renegotiation of EU’s powers. Being an outside observer who spent (happy) four years studying in the UK, it seems to me that Britain has a negative knee-jerk reaction to everything that comes ‘from Europe.’ (As a matter of fact, the very term is often regarded by the British as entirely interchangeable with that of continental Europe.) But I do not intend this as a condescending remark. It is I believe quite natural stance when we consider the specific place the UK holds in Europe. For most of its history, its identity was that of an ‘off-shore balancer’ whose primary trade interests lay not on the mainland, but in its empire. Nevertheless, after the First War World this mantle was taken from the UK by its most successful ex-colony, US, and then, after it emerged from the ruins of Europe of 1945, Britain also started to lose its overseas possessions. Notwithstanding the fact that Britain’s culture is deeply embedded with that of the European civilisation, accommodating to a new geopolitical reality has been hard and re-considering the national identity in such a world even harder. Although history is always open for new paths this must be done on the basis of an internal struggle with one’s historical memory and this proves more difficult for Britain, which is, as Ortega y Gasset rightly observed, Europe’s oldest nation. The question of the repatriation of powers is closely related. Ms Leadsom states it herself: although she sees as her first duty the defence of British interests, she at the same realises that having the eurozone falling apart right across the Channel would be a catastrophe for the British economy. That is why I find very sensible the shared position of Ken Clarke and Lord Inglewood: the UK and eurozone are in this together and at the moment the primary interest of both is to stay afloat. Any effort to renegotiate the UK’s place in the EU at this time would throw even more sand into the wheel of the eurozone’s (already enough) stuttering rescue plans, spooking the financial markets and rating agencies in the process. 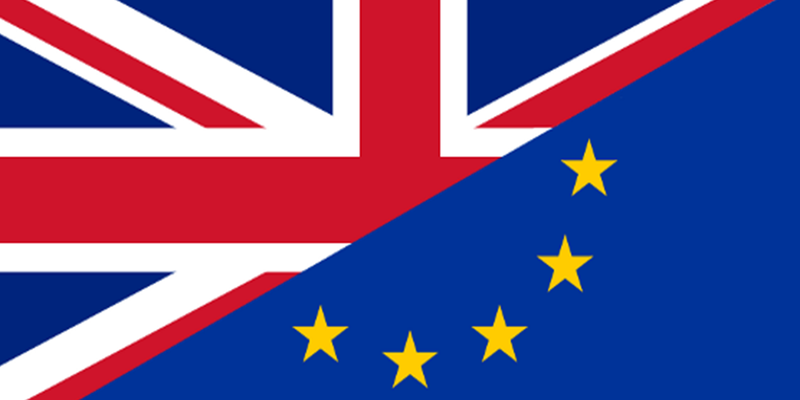 In the long-term and on a somewhat different note, if the UK government and people decide that they only want to have an intergovernmental relationship with the EU, they should throw away the hypocrisy and accept that they cannot meddle in (‘influence’) the affairs of those countries that decide to go forward towards full fiscal integration. when we watch merkel and the french man sarkozy (who i have no doubt is being set up for a new era of german dominance of his country) cosying up together as if it was their europe it just makes me even more cynical, this is not a democracy i see but two people looking to run an empire, no one dare say a word in disagreement, europe is nothing but trouble especially when these two nations raise their ugly heads, the germans batter the french and the brits have to come to their rescue, and the french hate us for it, we should get out now and when everything goes pear shaped and the bombs and bullets start flying because the french are being bullied again we should keep well clear. in fact we should blow up the euro tunnel, i don’t want to sound mean but the truth is we are hated across the channel, besides i can’t see what we have gained from all this nonsense, we should chuck it and deal with the commonwealth who we shamelessly abandoned for this lot. If my neighbour’s house was on fire I would not be rushing up and start complaining that they should cut back the hedge as its affecting my driveway. The reply would be a curt, two worded reply the second word being ‘off’. Since he has become Prime Minister David Cameron has been throwing way his cards – his party has left the centre right coalition in the EU Parliament; he has allowed the Chancellor, (Finance Minster), undermine EU attempts to control tax evasion in Switzerland and tax havens and has given the EU a lot of other grief. The solution to the eurozone is as this moment the only thing that is important. This needs to be sorted out and any distraction has to be blocked. Cameron can cause so much trouble that the only option available to resolve the euro problem is that the 17 eurozone members resolve the situation behind closed doors. Let Cameron rant outside the door. This will put Cameron in a difficult situation at home and I reckon that this will probably lead to a referendum on whether the UK should stay in the EU or not. It’s possibly the reality of leaving may improve the level of debate in the country. I believe that Ireland may want to leave the euro as it’s economic strategy is to have very low corporate tax to attract large corporations to invest. They would not like the imposed financial controls in the new euro regime. If the UK decides to leave the EU then there is a strong possibility that the Scottish could well leave the Union and become an independent country probably within the EU. If the Scots leave, they will have to surrender control of their economy to the Germans, so having even less influence than they do at the moment within the UK. Who’s going to listen to a nation of 5m people stuck at the other end of a much larger neighbour? They did it again…Blocked yet ANOTHER treaty….If a country acts so selfishly and in the middle of a crisis they still do not want to change and make a step forward, then perhaps is best to leave them in an isolation? perhaps it is time to lose their voice in EU..? if the PIIGS are being punished for irresponsible economic actions by tough austerity, then perhaps we should introduce sanctions for those who keep blocking any progress..?? lose some of their seats in the EP….!! if they do not appreciate democracy and the good for the whole continent, then perhaps it is time to be left alone…then and whoever wants to follow..seems only the Swedes will follow them outside this new treaty..well, what is new? The French refused to give any guarantees that there would not be further encroachment of the EU onto territory vital to UK interests, namely regulation of financial services. This might have included having banks regulated by a body located in Paris. How would the French like it if we started regulating agriculture from London? If “acting selfishly” means stopping someone else from causing major damage to your economy, then so be it. What “sanctions” do you think you’re going to apply then, exactly? Your standpoint is utterly preposterous. Selfish! what is it you don’t understand about the word “selfish” Britain forever putting her hand in her pocket, now they want to get their hands on the city, France is about to go under and all this nonsense about signing up to a deal is nothing more than a selfish act to save their blush’s, Germany’s lap dog! This European union does not work, it is not democratic and is now on its way out, lets face it every country joined the E.U. for economic gain, £millions has been squandered unemployment soaring and anonymous people dreaming up ridiculous rules and regulations and then spend the rest of the day eating and drinking and god knows what else and all slapped onto the “expenses” it makes me sick, I now have seen my weekly wage drop almost two thirds, have been on benefits twice in less than two years and it enrages me when I am expected to take a job stacking shelves for minimum wage while a Pole or a Russian does my job, then I get a phone call from an agency asking me to go to a certain site for three days work and when I get there I find that the so called Polish and Russian “plasterers” finished job was not up to scratch, and find my job now is to patch it up! But low and behold those same “plasterers” are busy slapping on the plaster in the house next door for the same main contractor, do me a favour will you, I think you’ll find that your the selfish one! jimbhoy you are a bigot so i won’t even get in conversation with you..for all Britain’s misfortunes it is the eastern Europeans’ fault..!! or the rest of Europe..!! can’t you see that you are being lied upon by your leaders? Robert your financial system is the root of all evil in Europe, the world and Britain itself..you alignment to the hip with the Americans and the situation in the city of London, is far worse that your EU membership…I hope one day you will see that…The financial services and sector you (or perhaps should I say those who invested in your country) set in your capital are causing all this trouble, the bankers, the brokers and the rating agencies…Stick with them! You deserve them! If someone tells you to change you immediately react to them as being spongers and want to steal your hard earned money..well it is not even your money, rather the poor unfortunate states’ and peoples’ money that you stole with broker deals…it is not even good for your own people…. Britain was always a thorn in the side of Europe, always wanted to meddle, but only on its own terms…well now we want to move on…you want to keep dragging us backwards…something’s gotta give…well good luck…. christos all that the european system has done is lower the working mans standards, i am anything but a bigot, patriotic maybe, we vote people in to look after the interests of this country and its people not to give it away to some foreign powers, if caring about the people of this country makes me a bigot (in your eyes of course) then that is most certainly what i am, but i do hope your not trying to call me racist. its typical of the type of person who will do anything to get their own way they resort to criminalising their opponents making them afraid to say what is completely harmless and innocent of heart, a bit like the labour party who by the way was the only party i had ever voted for but never again, it was them who started this criminalisation of people who spoke out by getting people charged with hate speech, remember brown and the little old lady. i’m sure you would’ve thought stalin was a lovely man. i most certainly don’t want to discuss anything with a typical free speech oppressor like you, in fact it would not surprise me if you were one the expenses mob over in brussels, bigot certainly not, a lover of freedom and democracy yes and hopefully cameron has set us on the road to recovery and freedom as the french would have dragged us down with them and left the germans sitting pretty, you seem pretty upset for a man that seems to to have a rather huge dislike for us, a thorn in the side! you mean we won’t roll over and be dictated too. sad so sad so you are. Christos, what nonsense you spout. I presume you are from Greece, right? All very easy to borrow money, spend it all and then shout and get angry with the lender when they ask for the money back and don’t want to lend you even more, isn’t it? I am not blaming anyone else for our own problems, although it would be easier now if Europe hadn’t created the utter mess called the Euro which led countries to borrow too much too cheaply. It has also created massive imbalances in terms of competitiveness. All these problems were foreseen by the British, which is why we didn’t join the Euro. 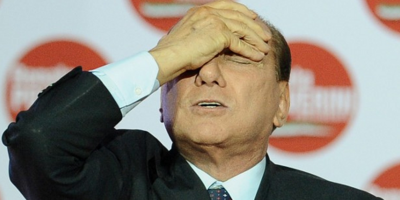 The financial system didn’t FORCE the Greeks and Italians borrow too much, did it? They did it themselves by electing governments who spent too much. A “thorn in the side” presumably means a member who, when they sign up to rules, actually follows them and who is the second net contributor after Germany. Where did all our money (€100bn plus) go? To Spain, Greece and Eastern Europe. And what thanks do we get? None. 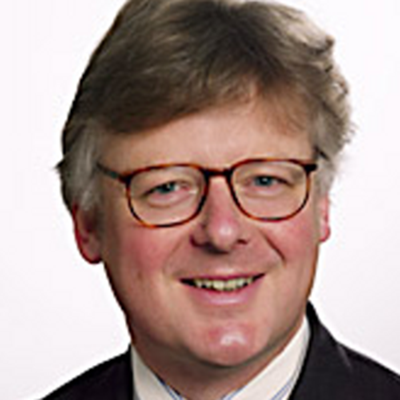 Robert Britain has more dept that Greece…you economy is not at its best…Why don’t the Markets hit you or downgrade you..?? think about it..and here we go again, ignorant comments, bigoted about “us giving our money to you”….what an arrogance…you know nothing about the common market and how it works….it is the rich nations that benefit the most, you get the most profits and benefits out of it…you take our raw materials tax free, and we have to buy your cars, computers, mobile phones, air-crafts, tanks and trucks…how can you have a balance between the two..? how can you repay a car with olives…?? think about it…you get more out of the common market …you just want more..you just want it all…. Britain has LESS government debt than Greece. You’ve got 150% while we’ve got around 63%. That is what is causing the problems. And whose fault is that? You borrowed money you can’t pay back. The markets don’t downgrade the UK because we were sensible enough to keep our own currency and not join the Euro and because we don’t have any problems in refinancing our debt, since it is mostly long term and not repayable soon. As for the richest nations benefiting the most, it is the rich nations in the EU who put in the most money and the poor ones who take out the most. We pay billions of Euros each year for free trade with the rest of Europe. Stop blaming us for your own problems. If Greece had kept the drachma it would not have been able to borrow as much, keeping its deficit down, and would have depreciated, allowing its economy to grow. But out of vanity (and by lying about its national accounts) it joined the Euro and threw away its lifebelt. If the Euro ship is sinking now, it is not our fault. Anyone who wants to see why the europeans are stumbling from one crisis to the next only need to read the above drivel and totally nonsensical mantra posted by Christos Mouzeviris for a snippet of the type of people that want to have a say in how we live our live’s and run our country, He says we owe them, can you believe that! The rich countries according to him should give to them, He wants us to reward corruption and tax avoidance and at same time drag us down in to poverty. Was Greece not a rich country once? The beginning of democracy? Was Italy not a rich country once? Also I think you will find Spain for whom I have a great affection was also a very rich country once. Great Britan was once a very rich country once but we foolishly got tied in with europe, these countries lost what they once had because of bad governance not because of rich countries, they got lazy and if you are any kind of representative of these countries then they have not changed, you are only after what you can take out, please feel free to reveal all the great and good that you think the likes of Greece can do for the union, and do you think that the people of one nation should just sit back while their country is plundered and watch while the said plunder is handed over to some nation that is only interested in hand outs. I for one would love to know what we take out, go on enlighten me. p.s. is everyone you encounter that doesn’t agree with you a bigot? I think the name for a person with your distorted view is “inverted nazi” you really do have a terribly twisted view, Instead of being grateful you spit at the people who helped you. sad sad individual. Christos, what was our involvement in Greek affairs, remind me? Oh yes, saving you from the Nazis and then stopping you being overtaken by the communists and so becoming part of the Soviet/Russian Empire. Would you really have preferred us to leave you under the Russians, then? However, I disagree with Jimbhoy. Any decline in the UK’s standing is down to our own stupid politicians and corrupt political system, downgraded education and policy of selling off every single industry we have, not because of Europe. We’ve all got to stand on our own two feet and stop blaming everyone else for our own mistakes. Once we’ve all grown up a bit, then maybe we can rebuild co-operation in a way that helps everybody in Europe equally and doesn’t destroy democracy (a great Greek invention). Yes Greek politicians made too many mistakes….way too many…but it was all in dealings with the rich western elites…they want the country to go bankrupt..they do not want really to help greece and see it a prosperous nation….we have so many natural resources that for decades some of us were calling to exploit…your elites did not let us…why? because once we go bust it will be cheaper for you to buy them off for nothing….you get that now? our only fault is that we have traitors politicians that sell everything away….and for decades we did not protest..but who can blame us…?? we had decades of wars and misery, created by you lot…..do you blame the greeks that just became idle and just want an easy life..? just like you..!! we want what you have….but we are not allowed to….because we can not all be rich and wealthy like you…someone has to exploit somebody else….and in this case, it is britain that is the exploiter, not the other way around my friend…of course the germans and the french are as bad as you….the rich powerful countries and their elites are the cause of all this mess, not the insignificant “lazy” and “corrupt” greeks…let me tell you, we in greece work the hardest…there is no social welfare for life like you have in the north…1-2 years you remain unemployed and that is it..no more hand outs….you are on your own….you got to work in greece to make a living….not like you, that you can claim social welfare for life….who is more lazy? and we are getting paid less for doing the same job as you…think about it…. Stop blaming us for your own civil war. You would rather have remained under the Nazis then I suppose? We British bankrupted ourselves and lost hundreds of thousands of our men in war to liberate the rest Europe and yet all we get is this kind of victimism. At least the Norwegians send us a Christmas tree each year to say thank you. As for your schtick about small nations, the Dutch, Danes, Swedes and Finns seem to be able to do pretty well in Europe, so why not the Greeks? You need to look within your own culture (e.g. widespread law breaking, cronyism and corruption) to see why things don’t work properly before blaming everyone else. And by the way, how exactly are we “exploiting” Greece when we have been putting billions of Euros a year into European funds that end up in Greece? A funny kind of exploitation that is. I do blame our own politicians for dragging us in to this whole sorry affair, but this whole sorry affair was not what they had signed up for in the first place, it was for trade, they have brought in treaties, regulations and a currency while slowly draining sovereignty from member nations and as I have already stated I will never vote labour again because of what they have done to this nation, they most certainly are the enemy with in, but there has been a lot of underhand planning going on between certain leaders and it is plain to see there is an agenda, even if a country has a referendum they have even had the audacity to say they will have to have another and another until “they” are happy with the result. To witness a raving lunatic like Christos Mouzeviris writing such ridiculous stuff is nothing short of, well ridiculous, does he honestly think we get taught only what the government wants us to be taught, if that were true then there would be no one in this country wanting out of europe, we would all be for ever begging forgiveness for standing alone against the axis in WW2 while the yanks sat back and waited for the right moment, only the bombing of pearl harbour brought them in sooner, but it still cost us dearly. so please feel free to tell me what any one of those euro nations have done for Britain apart from dragging us into their arguments and wars, europe is the most warring continent on the planet, you can not get along and never will. So pause to remember chris if it was not for my forefathers and the empire you sir would not have the opportunity to insult the brave men and women who gave their lives, you would’ve been under the jack boot or would not have ever existed, and I pray to god that when you are ripping each others countries apart in the future we steer well clear of it, gratitude is a wonderful thing, there is no need to show it but there certainly is no need to declare that you have none! jimbhoy, YOU STARTED HALF OF THOSE WARS IN EUROPE….!! will you put it into your little head man? you, the french, the germans and a few others, are responsible for all the wars that took place in the continent and outside this continent…are you are no heroes…you only supported your interests…whenever a situation in europe does not suit you, or you feel threatened by it, you get involved to make sure your interests in europe are promoted..by wars, by spycraft, by espionage, you name it..fair enough, you only trying to support your interests, you are not the only ones..but please stop believing that you are our saviors….europe is too big and too near you to ignore it, that is always always always, britain will be involved in europe….hope one day you will do it in a constructive way, and not by acting selfishly as you do until now…. He hates the northern europeans for starting wars, i,e, Britain, Germany and France he appears to have no time for them, yet he is inconsolable at the thought of us breaking free and on the other hand it seems he his more than happy to be an underling to the French and Germans, what is it that you want, this is the last time I will respond to any of your juvenile ramblings and suggest that you ask your teacher for some homework and then you can tell me all about the time when Britain started two world wars and Greece saved the Germans, Italians and Japanese (it was Britain at fault wasn’t it)by fighting on all fronts, how many prisoners of war were from Greece that were so brutally treated by the Japanese how many Greek pilots does Britain owe gratitude too, when did the Greek army liberate France and who were the Greek generals that planned D-day, as for Ireland (my mother is Irish my father Scottish) how dare you compare them with the Greeks, Ireland has not got a history for corruption or do you insult them because they are northern also. It just goes to show that there is no level you won’t sink to by using your own country as a gauge, as to say look this is how corrupt you are, you are now as bad as us, do you see how stupid that is, Ireland is not corrupt and is populated by a hard working people there is no comparison. They foolishly fell in to the trap and believed they really were the Celtic tiger and are now paying. Tell me why are you so angry that Britain has rejected this power grab by Merkel. Oh and while you are at it can youtell me what does Greece bring to the table? We sacked, fined and imprisoned those politicians who were found guilty. What did you do? How utterly ridiculous to try to blame the UK for what the nazis did. We tried to avoid the second world war for as long as we could. Just be thankful that we were there to liberate Europe alongside the US and other powers and did not leave the Germans ruling you. Christos, why don’t you get angry with your fellow Greeks for voting for corrupt politicians, not paying their taxes or obeying the law. If you hadn’t got into debt by electing politicians who lied about the figures and spent too much on things like over generous pensions, you would be in control of your own destiny. Likewise with civil wars in Greece. They would not have happened without political extremism embedded in Greek culture. Your kind of victimism is the main reason why Greece has failed in the past: failure to take responsibility for your own actions. Wasn’t extremism the riots in London some time ago…?? you seem to think that you are so much better than the others…no you did not save Europe, you are one of the main driving forces that always bring it to its demise…Greed, power, wars, between Britain, France Germany and Russia…will you ever stop this and allow us all to live in peace and harmony? You seem to believe the stereotype that was made about the Greeks, that we all avoid the law and tax evade…well i am Greek and i have never done so..it is a slander…a smear campaign….the only ones who did tax evade were the rich elites of Greece….the rest of us the workers were kept in ignorance of what is was happening….they lied to us that we had no money….they pretended that everything was ok…. there is a financial war against the euro, some want to achieve something by all this mess…but we are paying the price…it is those people that you are making good business with…in your city of London..bankers, brokers and financiers..
you accuse us of not doing lots of things…yet you were all happy to make business with us…german companies were buying off companies from Greece, they invested in building the new Athens air port, yet they never paid taxes in the state..then we are the ones who tax evade…don’t you find this weird..? but this is what happened…the political and financial system poured cheap money and promoted capitalism in countries that had poverty and deprivation for a long time, like Greece, Ireland and Portugal. People went mad and start consuming, they wanted what you had for so long …they have brainwashed them with advertisement, promoted this lifestyle…they encourage them to keep buying…people that had nothing for decades, started splashing out buying things, houses, holidays..the banks promoted loans and mortgages, they were almost begging people to get loans for anything..
some people knew that those countries were living in borrowed time…they were creating bubble economies, only to burst them later on, once those nations were heavily indebted….once they were in so much debt, they rushed in for the kill…..make a huge profit by the loan and bail out repayments…and then have the nerve to blame people for spending….but they were the ones who were encouraging them to spend…. they wanted to drive those nations into this situation…push them into a huge debt so that they can collect the repayments after all that…it is not the first time it had happened…it happened in latin america before..will you blame the argentinians as well for being lazy and corrupt too..?? or will you say that i am an extremist again…? when you get greek doctors and the such declaring around 5k a year gross earnings and greek nationals who “seem” all for a federal state of europe but do nothing but slag other nations while living in Ireland what on earth are we supposed to make of these people? Once again can you tell me what does greece have to offer? Were they expecting all the “rich” nations to suckle them? You seem to embrace the e.u. ideal yet you talk like I do defending “your” country but at same time prepared to see it demoted to no more than a satellite state. Where can I find the facts that greece saved the world in two world wars, I think I’m correct in saying you couldn’t even save Cyprus for yourselves and also once again, what does greece have to offer? Chris would you be a communist by the way! Just to let you all know that the Debating Europe team is following this discussion closely, and we’re planning some posts to respond to the points that have been raised here. We’d also like to remind everybody to stay friendly (or, at least, civil) with one another. Debate the arguments themselves, rather than the people making them. A socialist in fact and pro European…What Greece has to offer…?? We already done way too much for Europe….We supported the allied powers to get rid of the Nazis…twice in two wars…read some history man…we were pillaged by the rich European nations for centuries while we were under ottoman rule, you were coming and robbing our lands out of any ancient greek and roman artifacts, you were trading with them, and them you put them into your museums to make more money out of the ticket sales….you owe us too much man..we were never even compensated by the Germans for the WW2 damages..the owe us billions by now..
..your countries were the reason why Europe was obliterated more than once….power mongering between the powerful nations of Europe…now once again this is what is happening..everybody else wants to solve the problem, Britain does not want to play ball, because it will have to compromise….and lose out….when it is time to pay you always “duck”…. make no mistake, you gain way too much out of the single market than smaller and poorer nations…but you are so bigoted, ignorant,arrogant and greedy (now how is that for generalized comments and portrayal about a nation? in response to lazy and corrupt that we have to deal with) that you can not accept that…you have access to our raw materials while we are forced to buy your industrial goods….there is no balance on that…you earn more…so the subsidies you pay to us is actually to compensate for our trade imbalance with you…but you think that it is giving money to the “free-loaders”…!! stupidity or what? now how this is spent (or wasted by our governments) is another matter…well allow us to exploit our natural resources. allow us to develop industry and you won’t have to do that anymore….funny that you complain about the Poles and the Romanians coming to the UK, or the Greeks and Portuguese that “steal” your taxes, when it is you, the rich nations of northern-western Europe that absorb all industries, dominate Europe’s economy not allowing smaller nations of other regions to flourish, then they have to migrate in order to find a job…and where do they go? into the rich north! and you have the nerve to moan about the “free loaders”..! it is ok when you meddle with a nation’s internal affairs to serve your interests, but when the results come to bite you in the back side, you always blame the stupid, lazy, and corrupt natives….exactly as you are going to do a few decades from now, when the regime you help to be established in Afghanistan and Iraq right now, becomes too corrupt and oppresses people, but then you will say exactly the same about them as you say about us now..
i am not anti-West…i am simply pro-European, but that does not mean i will sell my country to the greedy western powers short, to see a united Europe happening….if Europe is going to be united, i want it to be on equal terms for everybody, not having the French, the Germans or the Brits dominating smaller nations….we are all equal, we are all in this together…. what i want is to have a stable and prosperous country, contributing to Europe and the world, not by selling its resources for nothing to the rich Europeans, but exploiting them first for the benefit of our country, then for the benefit of the whole continent…but haven’t you notice that countries that lie on strategic positions or have oil of the own ( or oil has to pass from their territories to reach the west) are the most troublesome? greece, cyprus, turkey, armenia, georgia, azerbaijan, ukraine, belarus, the whole balkans…have you ever wondered why? think about it….and take responsibility for once…!! As for the euro…the euro is not the problem..if our leaders have put the foundations of the common currency right, all this would not have happened…britain and america are far more indebted than most eurozone members..yet because they control the markers (and the rating agencies) and because they have their own central banks, they are not as affected….we should have with the common currency and market, a common economy…that means one economic model for all, that means fiscal union, that means Greece with a German economy, that means a stronger ECB..but with so many vetos and different opinions, things are just covered up and mish-mashed…and when we do try to go forward and achieve something, we have states like Britain that always opt out or veto something….that is why things go wrong…time to decide … do you want to stay in? or just leave us at peace? Christos, the fact that you are blaming the UK for WW2 shows what a bizarre and distorted socialist fantasy world you live in. What we did in WW2 was a supreme act of generosity and self sacrifice which bankrupted our country for decades yet helped liberate Europe from nazism. Does that not register in your twisted ideologically warped world? Yes, so why should we want to agree to a deal that means we lose out, yet again? It is supposed to be give and take, so why should we always be the givers? Since we joined we have made net contributions of €100 billion and seen much of our industry and agriculture destroyed by competition from other European countries, not to mention the plundering of our fishing grounds, principally by Spain. Christos, the Euro IS the problem. If you remain in it, your country will have a permanently overvalued currency. You don’t have the drachma any more, so you can’t devalue and become competitive. If you are not competitive, your economy will carry on shrinking because you can’t export or attract enough tourists. It’s pretty simple. If you think the Germans got their economy by sitting around blaming everyone else for their woes like you’re doing, then you are sadly deluded, as is your idea that Greece can have a “German” economy. Greece can never be German. So you’d rather have the Taliban and Saddam Hussein in control than democratically elected governments, I suppose? That isn’t a very socialist viewpoint, is it? Robert, now who has a distorted point of view..?? Stop reading too much British media, portraying your country as a heroic one…The crimes you committed against other nations prove otherwise…You were a colonial power yes? Since when Britain suddenly is give give give, since throughout your history you were take take take from other nations? Get real…. You were not the only nation to fight the nazis man…Greece contributed hugely in the war..Why can’t you take the rose tinted glasses of your face? Russia, Poland, France and other nations also fought..Remember? It was your Churchil that made the statement “Greek do not fight like heroes, Heroes fight like Greeks”….You are historically ignorant man..!! And if you think that we went to Afghanistan to save the poor people, also proves how thick you are….We went there for political and geostrategic reasons…Power mongering again…But of course your media portray Britain as heroic nation..well how else would convince you to send your sons and daughters to be maimed and killed…?? think about it…open you eyes man…wake up! I know about British history, the good AND the bad, but where we have gone, in contrast to other empire builders, we have at least left behind democracy. Are you saying we were not heroic in the second world war. We fought to free the rest of Europe without any reward at all – NOTHING. That is heroism. And I never said in any of my postings that we did it alone, so stop trying to say I did. But we made a massive contribution alongside other countries. If we had not held out against the nazis, how could the US have entered the war to save Europe? It would have been impossible. Don’t forget we also gave major support (material and intelligence) to the Russians as well. You are simply not listening, are you? We have put more than €100bn into the EU in net contributions, opened our markets and applied the rules. Most of the other members have NOT done this. We HAVE given massively to the EU, only you do not want to acknowledge this because of your blinkered socialist ideology, even when the facts are staring you in the face. Other European countries like the Norwegians, Dutch, Danes etc. recognise what we did for them in WW2, yet you seem to have lapsed into some bizarre alternative reality where WW2 was somehow our fault. You really have some weird ideas, Christos. Well they didn’t erase OUR debts. We had to keep paying back the money we borrowed from the US and Canada to save democracy in Europe right until 2006.
chris I don’t know what your doing in Ireland, whether you’re a labourer a joiner a doctor or scientist or whatever, you obviously have a deep hatred of Scandinavia and the British isles, why only you can say, however one thought keeps coming back to me, why are you not at home where your heart is? Ireland as you know is solidly behind democratic lines, communism is a no no, you talk about artefacts, what is that, the elgin marbles? Correct me if I’m wrong but were we not given permission? would they still exist if we hadn’t taken them, while we are at it what is your thoughts on Alexander the Macedonian, was he just another foreigner or another conquering hero, like the russians would you have welcomed them with open arms to exploit your raw materials and resources, I’m still at a miss to what greeces resources and raw materials are and if there are any then why on gods earth have they not been made use of, surely if a nation such as greece’s ferocity and great standing in the world we should be looking at sarkozy and merkel flanking some sort of Aristotelian leader of the greek “empire” that was !? chris be honest with yourself if anyone, greece has no standing and I mean no disrespect here but the isle of man has more clout than greece has these day’s and it gives me no great pleasure to say it. Also I happen to be half Irish half Scottish as you can see by my name, I am also a Celtic supporter who’s loyalties are in the main towards Ireland who have shown despite hostilities over the years to be man to man (the common man) stood against against the common foe, if you doubt this then look it up before commenting, James Connolly would be a start, born and bred in Edinburgh like myself he was a socialist but not the type who would enslave or live off the back of others, he knew right from wrong which inevitably cost him his life (a hero in my eyes) but at no time in his life did he think anyone or any nation owed him or Ireland a life or a living, he and his kind had more pride in themselves for such lowly considerations, they wanted to stand alone and were proud, they did not need a big brother, I think you will find that any leader of Ireland and Britain since the end of the second world war has been more in line with their fellow country men than any leader of the unelected russian leader of Georgia, Ukraine, poland, east Germany,, Latvia, Lithuania, Kazakhstan, Chechnya and many more who’s people were virtually starving while stalin concerned himself more with orbiting the moon, if you’ve got time check out his mate beria,he and stalin were responsible for more russian deaths than hitler! I know you will deny this or say that the British education system is so poor or that they fill childrens heads with lie’s and it is a statement I find normal coming from the voice of the defeated, deflated or someone who is pure and simply lost for words of reason I mean you no disrespect chris, but really think about what your writing and then read it before posting, I wish you and greece all the best and I mean that most sincerely, but if you have anything to offer her then don’t you think your time could be spent doing just that. This comment thread is now off-topic, so we’re closing it to further comments. We want a lively debate, and the discussion on the Eurozone crisis and the UK’s place in the EU is continuing here, but a debate on the historical behaviour of individual countries (however relevant you may believe this to be) is outside of the scope of this platform. Is it time for governments of national unity?